What's Next For Shelton State? When you hear Shelton State, you can't help but think of its outstanding program that seems to become stronger year after year. Recently, Christa Sanford moved on from her longtime role as head coach of the 10-time reigning national champions to take a position at Alabama. But don't worry… the Shelton State Bucs are in GREAT hands! Shelton State cheer alum Brittany Crook has stepped into the position as head coach. Crook cheered for Shelton in 2009 and 2010 and is MORE than qualified to take over this powerhouse program. We can't wait to see what's in store for her and the new team this upcoming season! Crook after winning at UCA Nationals. Varsity TV: Tell us about your cheerleading background. How did you get started in the cheer world? Crook: I did not start off as a cheerleader like many. The first part of my life was spent in competitive gymnastics. After my last season as a level 7 gymnast, I traded my leotard for a cheer uniform. I come from a small high school in Springville, AL, where I spent three years on the sideline. 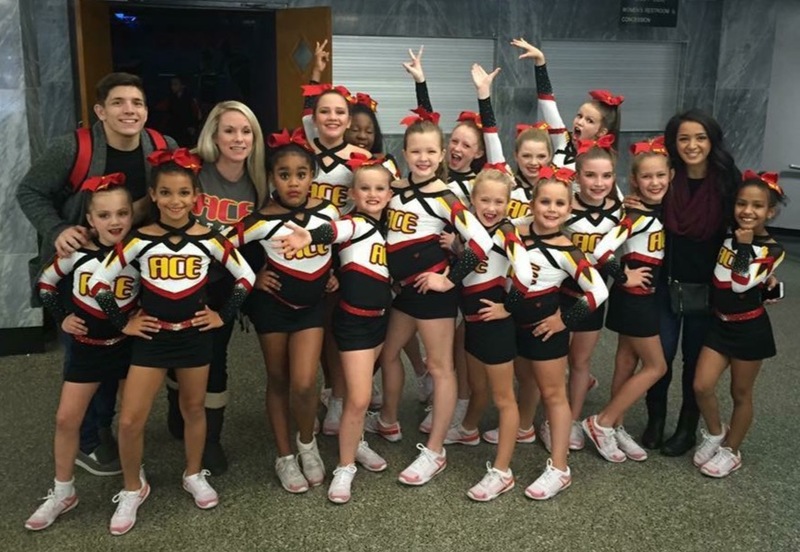 The ACE Cheer Company has been a huge part of my life since 2000, first as a competitor and now the all-star director and coach at ACE of Tuscaloosa. 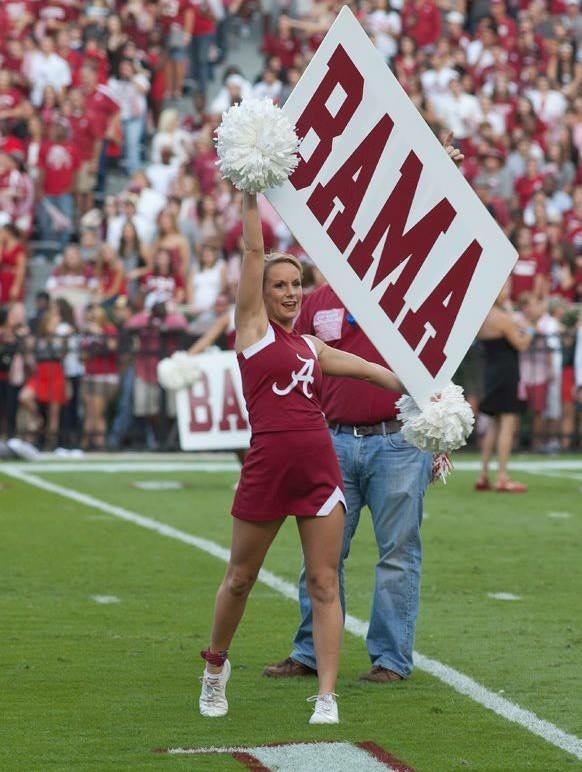 After high school, I went on to cheer two years at Shelton State and finished my cheerleading career at the University of Alabama. During my time cheering in college, I spent three years on UCA staff. UCA staffing at The University of Alabama. The University of Alabama after winning UCA College Nationals in 2011. When you were announced as coach for Shelton State, how did that feel and what does that mean to you to be the coach of such a strong program? When I was asked to take over Shelton, it was truly a "who me?" moment. There were so many emotions followed by a lot of excitement! The title of head coach at Shelton State is something I never imagined and an honor just to say that I am a part of the prestigious program, much less the coach. Christa Sanford and the athletes she has coached are truly what will drive me to take the program to the next level. Crook cheering for Shelton State. How do you plan to keep the program going strong this next season, and where do you hope to see the squad succeed? The integrity of Shelton's program is something I will uphold to the fullest. Years ago, Christa taught me discipline, respect, and responsibility on and off the mat are what make a well-rounded successful and winning team! That is my goal as a coach to create a successful environment for all of my athletes. Crook during pregame at a University of Alabama football game. You cheered on Shelton for two years. How do you think being an athlete within the program is going to help you as the coach? Shelton State made a lasting impression on me as a person and an athlete. During those two years at SSCC, I learned a lot about myself. In particular how strong I could be mentally and the discipline it takes to be the best athlete. The sense of family my teammates and I had was truly one of a kind! Crook and one of her ACE teams. Shelton holds a special place in my heart. Not only did we win two national championships together, but Shelton is where I met my husband back in 2008... My very first semester as a student athlete! 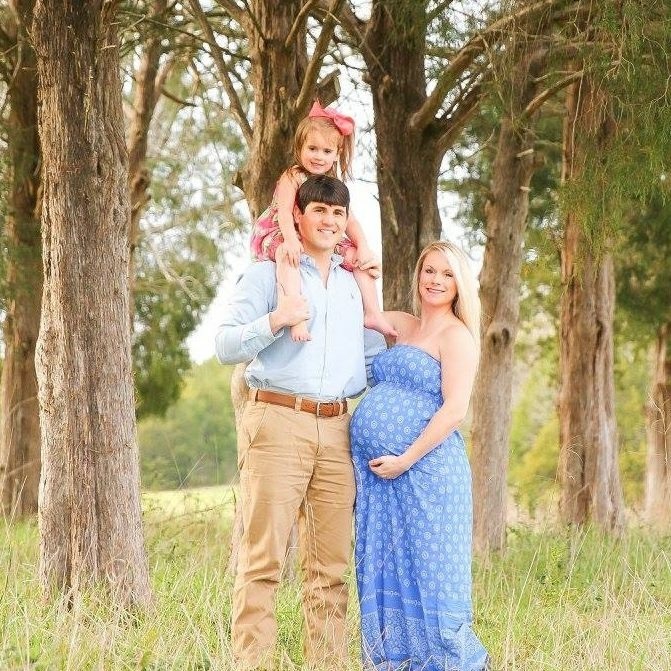 Now we have two children and are forever residents of Tuscaloosa, AL. Brittany has a strong background with the Shelton State cheerleading program, the expectations, and overall what the program stands for. I have complete confidence that the program will continue to stand as a leading program in the junior college environment.